The three wonderful women who purchased Awash and transformed it into Asmara about a year ago have poured a heck of a lot of TLC into the joint and it’s quietly an absolute gem of a restaurant/lounge. 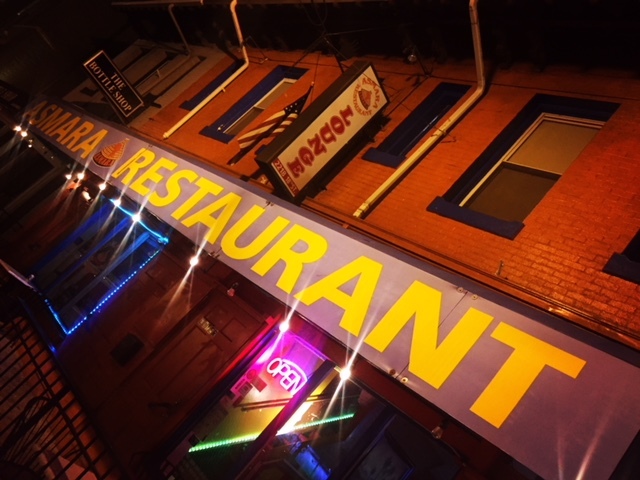 They are open 7 days a week from 11am to 2am (3am on Fri/Sat) and serve fantastic Ethiopian/Eritrean & American cuisine all day & all night (–superb late night alternative to jumbo slice). 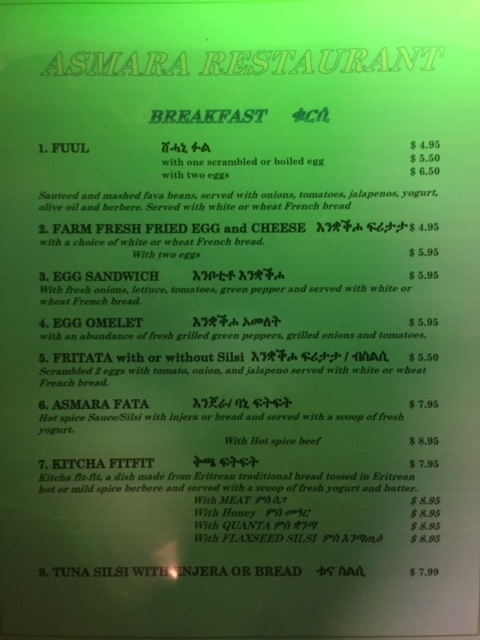 Breakfast is also available all day & all night. And their “Early Bird Special” (pasta with choice of sauce & any n/a beverage for $6.99 or a vegetarian platter with enjera & any n/a beverage for $7.99) is available from noon to 6pm. Happy Hour is 4 to 8 all seven days of the week ($3 beers!–including imports & small craft collection).